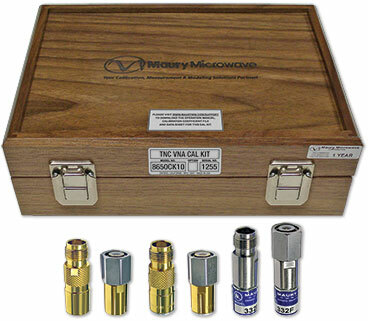 Maury TNC calibration kits are designed for making error-corrected measurements on a wide range of vector network analyzers using precision 50ohm TNC connectors from DC to 18.0 GHz. 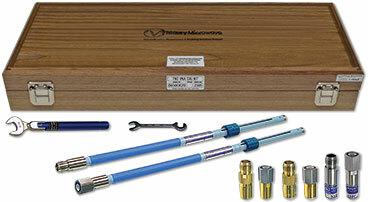 Each kit includes a full complement of calibration standards and is available with optional in-series adapters. 8650-Series cal kits are available in SOLT Fixed Load and SOLT Sliding Load formats. Calibration kit coefficient files for modern VNAs and support documentation can be downloaded here.